To access the clubhouse, ring the doorbell or visit the facility manager in the Hall office (located on the side door) during office hours. Thank you to A﻿LL ou﻿r volunteers! We have a dedicated group of regular volunteers who contribute their time and support Okanagan Mission Tennis. in the City of Kelowna. In 1907, land was donated by W.D. Hobson and a group was formed called the Okanagan Mission Sports (Tennis) Club. Tennis, football, cricket and other activities took place on the donated land. Tennis has been played here for over a 100 years! 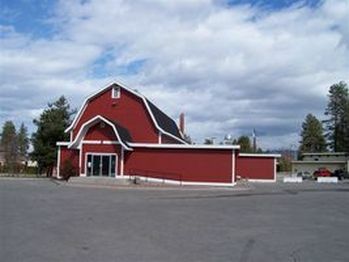 Thirty years later, the Okanagan Mission Community Hall was built and the Association was incorporated (in 1937). Years later Okanagan Mission Sports (Tennis) Club merged with the Hall Association. We are a registered Charity and work together as "one" under the Okanagan Mission Community Hall Association. Our efforts are to serve the community and our members. Our constitutional purpose is: "to furnish facilities for the social, cultural, recreational and educational needs of our members and all other persons."